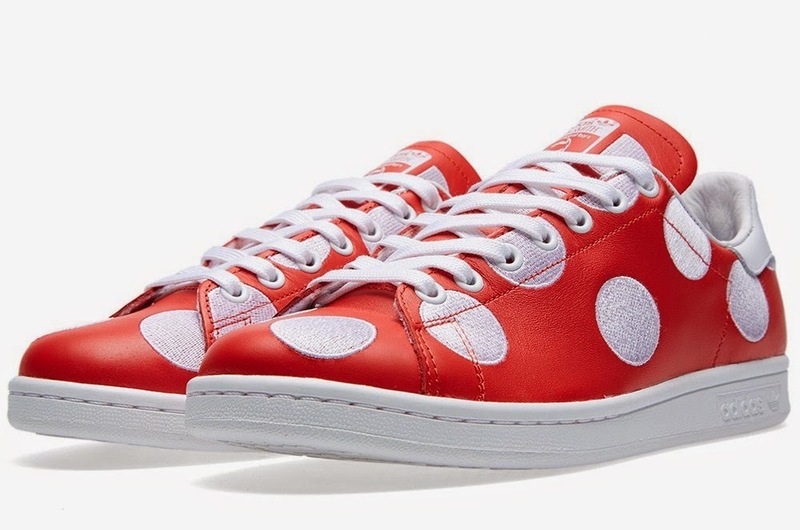 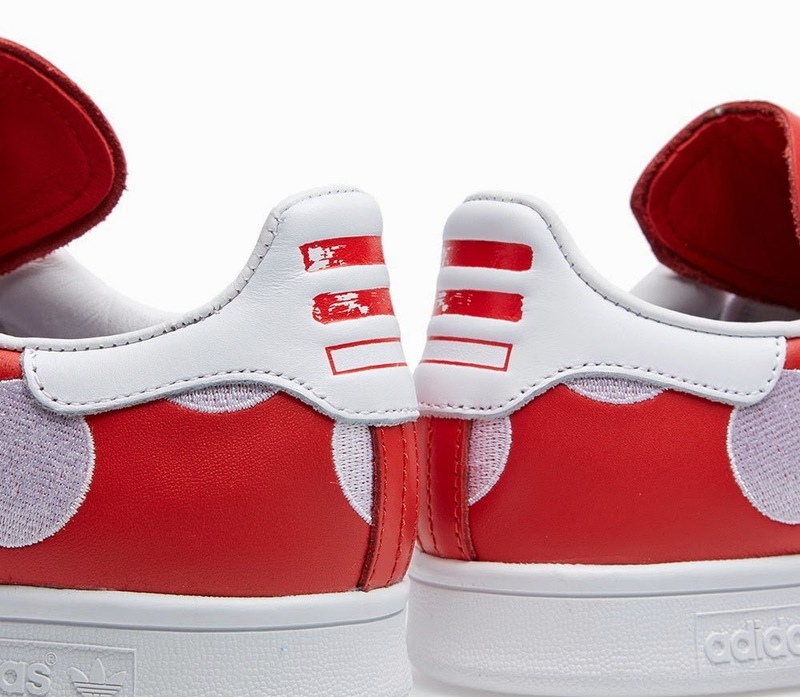 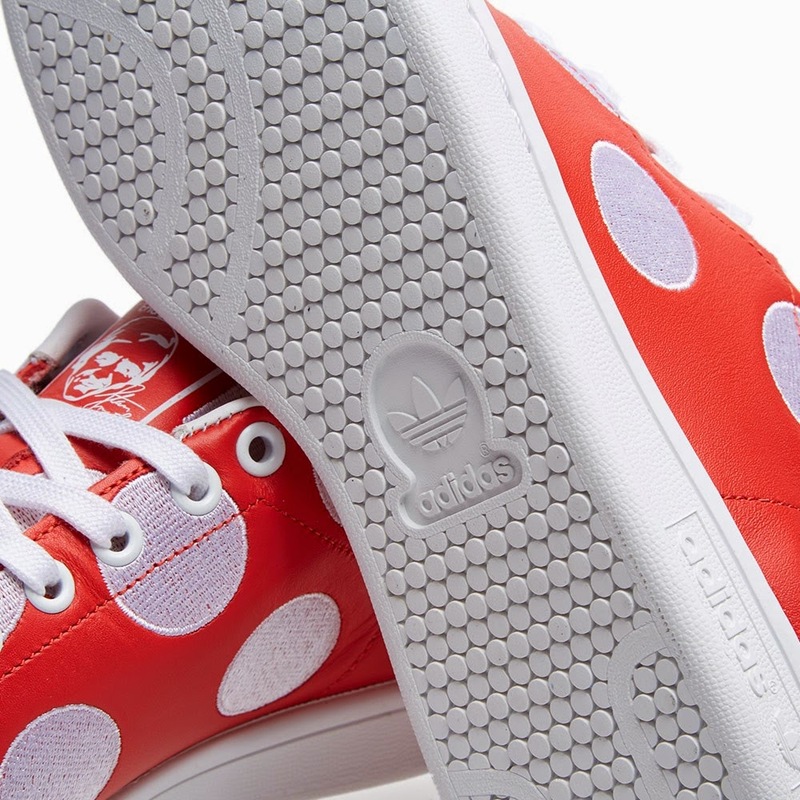 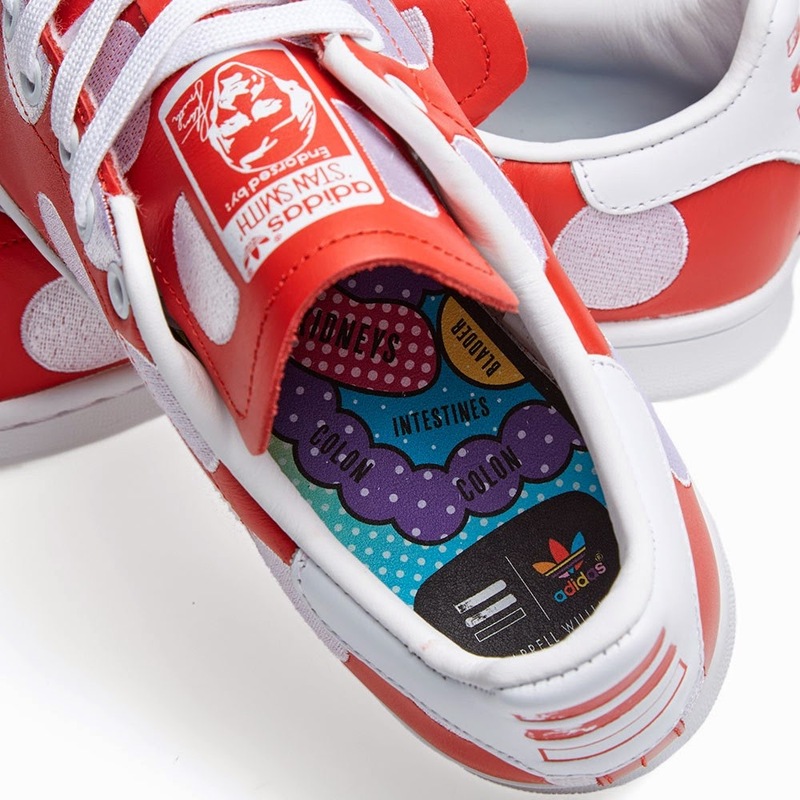 Renowned as much for his musical talents as he is for his contributions to the art world and fashion, Pharrell Williams has teamed up with adidas Originals once again for the ‘Big Polka Dot’ Pack. 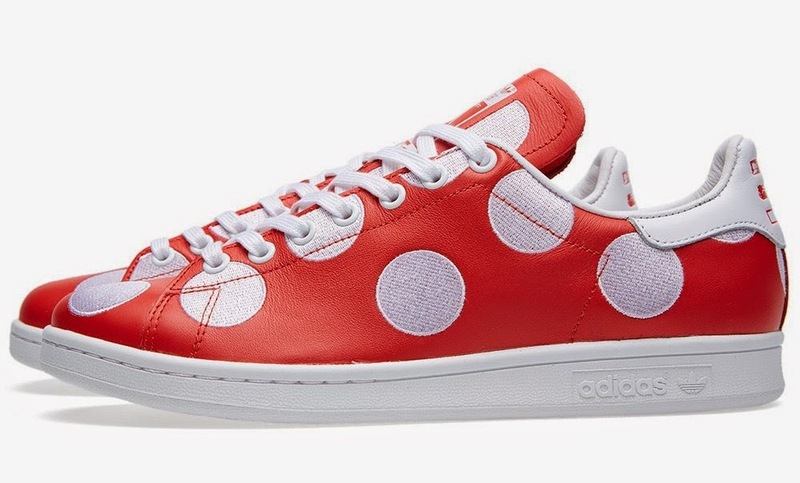 Combining the much loved sportswear aesthetic of the German sportswear giant and Pharrell’s flair for for colour and design, the collection infuses iconic pieces with a playful, dynamic energy thanks to vividly bright colour and pop art inspired detailing. 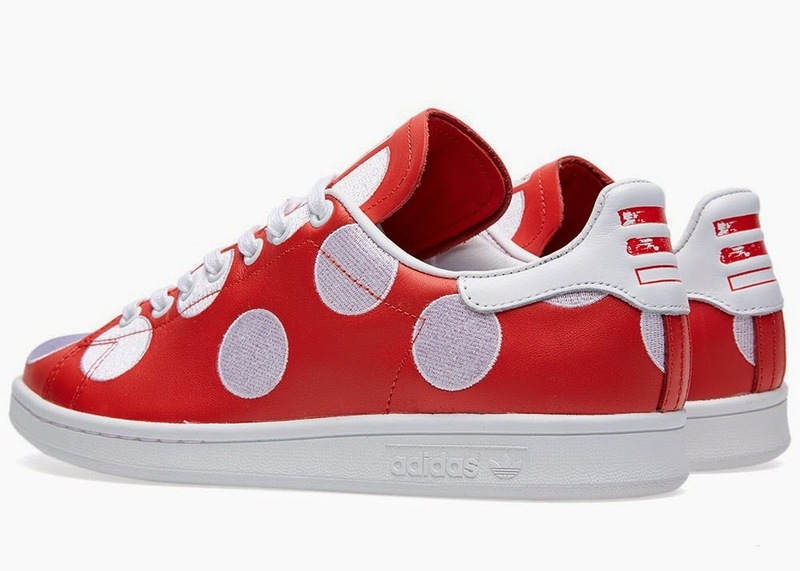 Taking on the classic tennis shoe design, the Adidas Consortium x Pharrell Williams Stan Smith 'Big Polka Dot' drapes the silhouette in a bold monochrome make up, with all over embroidered detail. 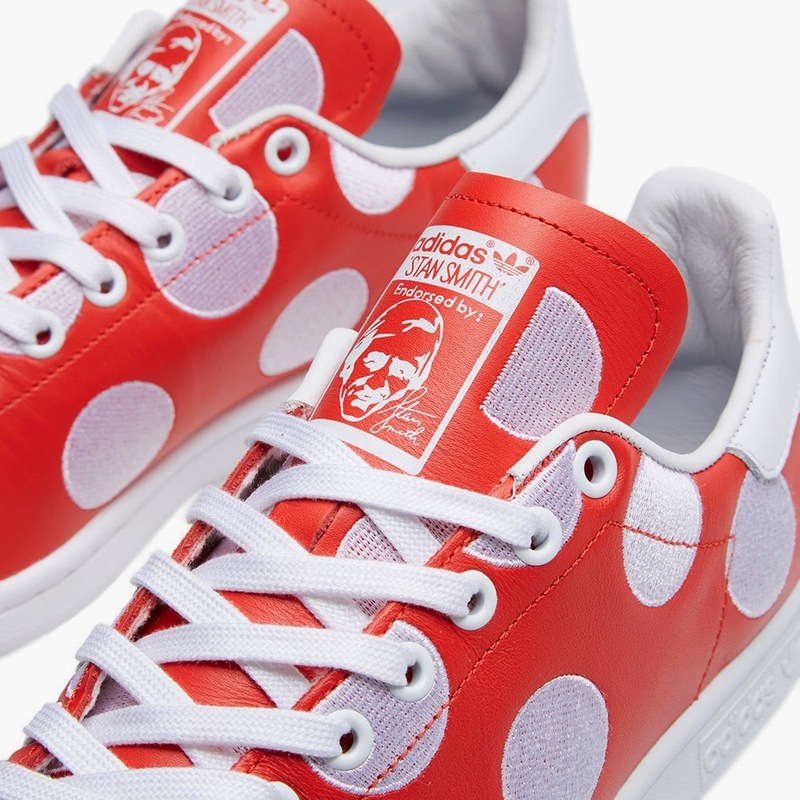 Constructed with full leather uppers, a tonal vulcanised sole unit and a selection of detailing coming directly from the man himself, it is finished off with a logo print at the heel and a graphic print insole.